If you’re the town and country type, this is the driving route for you. 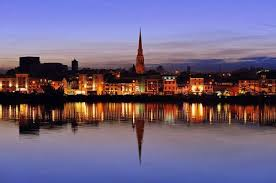 The Urban Triangle not only passes through some of the sweetest countryside in the South East, it takes drivers right into the thick of things in Wexford, Waterford and Kilkenny too. Heading east ( via R683 ) towards Wexford, the Passage East ferry is an early highlight of this drive, with tickets issued from a vintage machine on the ferryman’s belt, and views stretching south to the Hook Lighthouse. It’s at once a Suir Estuary shortcut, and a scenic detour to Wexford town following R733. Wexford itself is full of surprises. The combination of tight-knit streets and airy waterfront, of old town walls and modern eateries, of Selskar Abbey and skyline views from its state-of-the-art Opera House, all create the unique feeling of a medieval town in the 21st. century. Travelling west from Wexford (via N25), keep your eyes peeled for rocky outcrops north of Carrigbyrne. These are actually the plugs of extinct volcanoes. 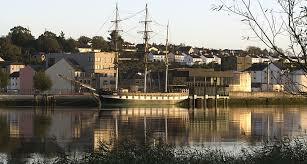 In New Ross there’s time travel of a different type at the Dunbrody Experience, where costumed actors and a three-masted barque offer an interactive adventure evoking famine times (you’ll even receive a ticket issued as if it were 1849). 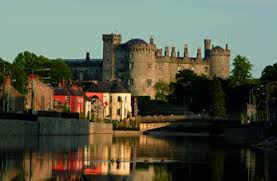 Continuing along the River Nore Valley (via R700), you’ll pass Inistioge, Thomastown and Bennettsbridge – the kinds of places you might pull into for a mosey, and pull out of carrying a piece of hand-crafted glass, a scumptious scone, or a photo of an old stone-arch bridge. Watch out for anglers too. The Nore is famous for its salmon, and the R700 criss-crosses it at several points. 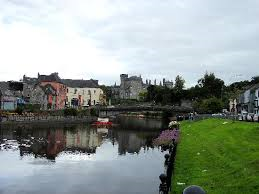 Finally, there is Kilkenny Ireland’s medieval capital. The Marble City is home to historic buildings like Rothe House and St. Canice’s Cathedral, but also to spirited festivals and food worth travelling for. It's a city in which you can travel through several centuries in just a couple of steps. Return to Waterford via the N10/M9.